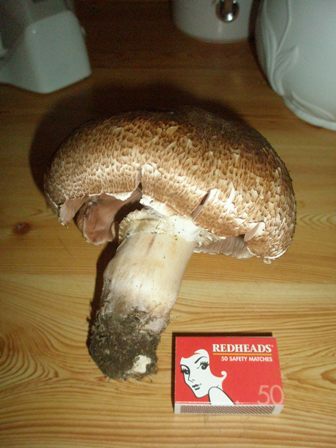 During long walks in the vineyard and around the paddocks we collected quite a few delicious mushrooms. The specimen above was particularly significant. Together with some other mushrooms it made a great pasta ai funghi porcini. My olive grove was bady damaged during the bushfires last year. Only about 30 of my 100 olive trees escaped unharmed. 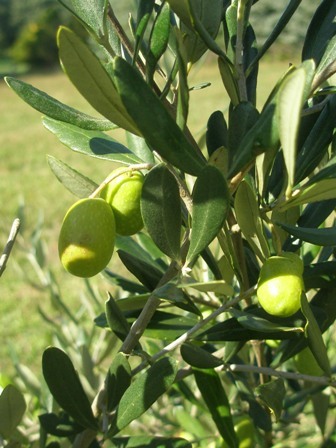 Although there is lots of new growth from below, it will take years before the olive grove will take shape. 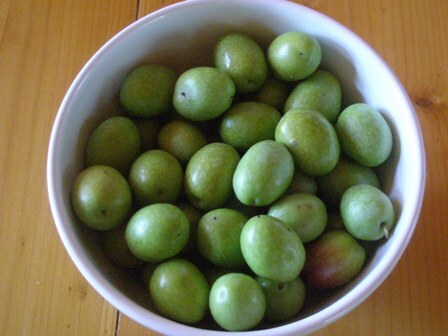 However, there were still some beautiful olives to be harvested. And of course, there were grapes, lots of them. 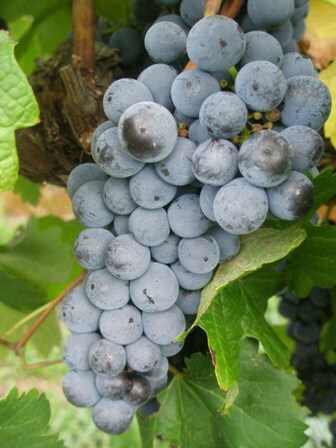 Below a ripe Merlot bunch. It’s a pity that we could not sell all of our vintage this year. The grapes were very sweet and full of juice. Autumn is a wonderful time in the cyle of the year. It was only the second time that we had the chance to experience it on our farm first hand. Happy days. This entry was posted on Friday, April 23rd, 2010 at 9:10 am and is filed under food, general. You can follow any responses to this entry through the RSS 2.0 feed. You can leave a response, or trackback from your own site.